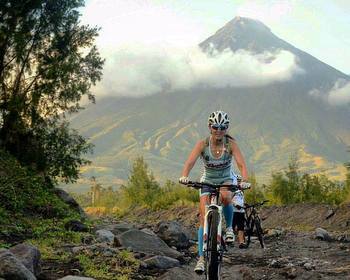 The 2016 XTERRA Asia-Pacific Tour racing season gets underway Sunday in Albay for the 6th annual XTERRA Philippines Championship. XTERRA managing director Dave Nicholas is on-site to take in all the action and brings us this report from Friday in the Philippines.. The 2016 XTERRA World Tour season is about to start this weekend. Our Philippine event kicks it all off with a 7am start Sunday. It is never easy to predict early season races, but Bradley Weiss has been tearing things up in South Africa and is here to defend his 2015 title. Aussie Ben Allen is always a threat in the Pacific and our very fast Japanese threat Ogasawara has made a last minute entry. For the women, defending race champion and two-time XTERRA World Champion Flora Duffy is focused on her build to the Olympics and thus couldn’t come to defend her crown in Albay. We look then at Brit Jacqui Slack, second last year to Duffy and a winner here in the past. She will be challenged by Lizzie Orchard of New Zealand and Mieko Carey of Japan. The Asian Elite division is showing the promise we hoped for and between them and Filipino elites we have 15 entries. Registration and the expo opened today and the place was rockin’ as Sunrise events creates such a great experience. Athletes arriving today at the Legazpi airport were greeted with local Albay dancers and music, a treat one gets nowhere but the Philippines and Albay. Governor Joey Salceda is quite involved and has personally greeted many of us coming to his part of the world. The course has matured and last years 5th place finisher Charlie Epperson says the bike course is harder and faster. « I expected those sandy places to be soft and slow, but grass has grown over and firmed it up. It will be faster for sure ». The run too will change slightly as the neat chicanes through the ruins of Cagsawa can no longer be used as that area is now designated as a protected historical spot. Weather has been a bit cooler than past years but with rain every day. We catch glimpses of the fabulous Mayon volcano but have not had a clear view yet. We’ll post more insight from Dave along with photo galleries on our Facebook page at https://www.facebook.com/XTERRAplanet. The new opportunity for XTERRA America Tour racers to qualify for the XTERRA World Championship in Maui by winning their region has Mimi Stockton, a 43-year-old mother of three from Michigan, dreaming of paradise. “It’s 7 degrees and grey here,” said Stockton, the reigning and three-time 40-44 women’s World Champ. For Stockton and all the other XTERRA racers in the midst of snow and ice festivals, winter is the time to make a game plan on how to capture that regional championship. “I’ve decided to not race during the month of June to focus on fine-tuning my mountain bike skills, because let’s face it, I spend the majority of my time on the road. I’m trying to get over my fear of flying down tree-lined hills at top speed, but it takes time and practice. By July I hope to be ready to rock and roll at XTERRA Dino Southern Indiana. The trails there are my favorite, even the death-defying cliff section that manages to amplify my fear of heights. This is a race I’ve done before and is not entirely suited to my strengths, but I hope to finish in the top two of my age group. Next up: XTERRA Ionia. A mountain biker’s nightmare, a road bikers dream! 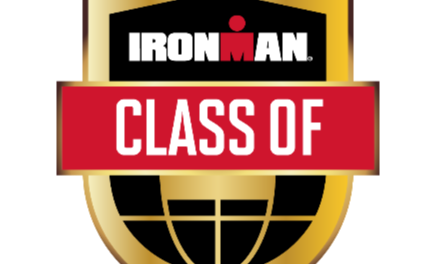 I might have a decent chance of winning my age group in this race, if I can get some distance between me and the other fast women on the flat sections. 2 races down, 2 more to go! XTERRA Dino Northern Indiana is practically in my backyard and it is the one race where I can sleep in my own bed the night before. I know these mountain bike trails by heart, but they still demand my full attention. They are snaky and narrow and not at all easy for a 29er to maneuver through unscathed. They are, however, relatively flat (we are in the Midwest after all) and fast, making the ensuing run seem relatively painless. This is an important race for many reasons. If I do well enough to land in one of the top two spots in my region at this point in the season, then I will head into my last race of the season feeling confident and positive that Maui is within my reach. Take it from Mimi, she knows what she is talking about! She earned her undergrad degree from Northwestern University and got a masters in public policy from the University of Chicago. When she’s not chasing her kids around you might find her whipping people into shape at Maddog Revolutionary Fitness. Rules Refresher Note: You count your best four scores. You must count one race in your region. You have to count two races in your region. Only two races in the America Tour offer points at the 100-point scale – XTERRA Oak Mountain in Pelham, Alabama on May 21 and XTERRA Beaver Creek in Avon, Colorado on July 16. If you race at both, just your best score counts at 100-point level, and your other score reverts to 75-point level. The most points you can score is 325. Of the 176 regional champions honored last year, just 19 scored 325 points. Happy Training! Excitement was rife at the mesmerising Kings Beach on Saturday, 30 January 2016 when eager adventure seekers and multi-sport enthusiasts gathered to participate in the action of Nelson Mandela Bay’s very first Fedhealth XTERRA Full race. “By the time I reached the turnaround point I had approximately 1 minute on Stuart, but he made up time on the flat sections,” continues Weiss. “Entering the bike/run transition I ran down the wrong chute, as a result my lead decreased to 25 seconds going into the run. It was only at the 6 – 7 km mark that I managed to open the gap. I was chuffed running down the beach to the finish, it was beautiful. ” Bradley Weiss completed the 1.5km ocean swim, 23km mountain bike discipline and 10.2km trail run in a combined time of 02 hours 01 minute 50 seconds. Stuart Marais came in second, while Theo Blignaut finished third. Carla Van Huyssteen took the lead in the women’s race crossing the finish line first in a combined time of 02 hours 21 minutes 42 seconds. According to Van Huyssteen the Fedhealth XTERRA Nelson Mandela Bay course was amazing. “I had a really good race. The route included the perfect combination – the ocean swim was amazing, the mountain bike route was just long enough and the run through Happy Valley had such a nice vibe to it with people cheering for you all the way. 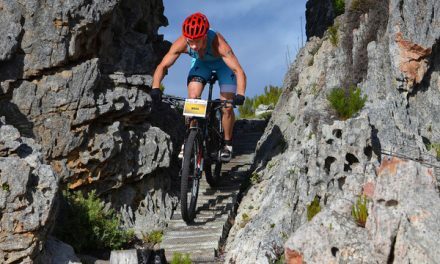 I am really happy to have been part of the first XTERRA in Port Elizabeth. 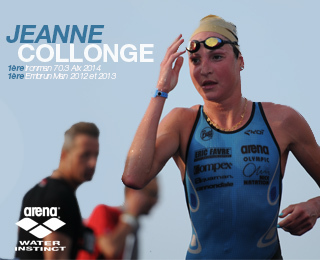 This event will definitely go from strength to strength.” Andrea Steyn came in second, while Susan Sloan finished third. After a gruelling day out on route XTERRA Warriors could regain their strength in the NUUN Recovery Zone. “We were there to put back what the race took out with cold coolers of our proprietary blend of electrolytes in natural, delicious flavours – all without any sugars,” says Etienne du Plessis, CEO of NUUN. Another special feature in the NUUN Recovery Zone was the serving of the proudly South African ButtaNutt series of authentic tree nut spreads. Home to XTERRA New Zealand since 2002, Rotorua is the latest active destination to land on the XTERRA Travel platform. With action and adventure aplenty, Rotorua is the perfect place to test your limits and this year’s race is on April 16th. If you enjoy getting out on two wheels then you will love Rotorua’s world renowned mountain bike trails. If water sports hold greater appeal then conquering the world’s highest commercially rafted waterfall, Kaituna Falls, should be one for the bucket list. Imagine sailing across the waters of stunning Lake Rotoiti to uncharted hot pools and experiencing what many people will only ever read about. A destination like none other, Rotorua has countless natural pools and rejuvenating spas spread throughout the region. The rich Māori culture in Rotorua also offers an authentic and truly unique perspective for visitors, connecting with the history and the people of the land. Surrounded by nature, there are treasures to be discovered amongst the magnificent forests, the 18 sparkling lakes and the rolling hills surrounding the city. Coupled with geothermal features and unique otherworldly landscapes, Rotorua provides a dramatic setting for the ultimate getaway. A visit to the Rotorua i-SITE will help you uncover the hidden gems that will make your visit truly memorable. With friendly staff that can assist with advice and planning for sightseeing, accommodation, activities and more, make i-SITE your one stop hot spot for a unique Rotorua experience. Learn more and plan your stay at www.rotoruanz.com. Meet Lauren, a college student and aspiring XTERRA triathlete. Answer: Right here, with our new XTERRA Couch to Trail program designed to help first-timers get into the sport. We’ll start by answering some of the first questions that came to Lauren’s mind, and we’ll evolve from there. Every other week XTERRA will share ideas just for beginners in the Couch to Trail column, and on alternating weeks the Middaugh Coaching Corner column will delve into training ideologies and specifics. First, some of the basics, with answers and ideas from XTERRA gurus Amy Eck and Mimi Stockton…. Q: I know XTERRA combines swimming, mountain biking, and trail running, but what are the distances? A: It varies. The shortest XTERRA race, our “Xticer” super-sprint race, combines a 200-meter swim with a 10K (6.2-mile) mountain bike ride and a 2K (1.25-mile) trail run. Our standard championship distance combines a 1.5K swim (1-mile) with a 30K mtb (18.6-mile) and 10K (6.2-mile) trail run. We also have sprint races that are half those distances. Q: How far would 200-meters be in my local pool? A: It depends. An Olympic size pool is 50 meters in each direction, but most U.S. pools are 25-yards (23-meters) in each direction. Q: What bodies of water are the swims generally done in? A: There are XTERRA races with swims in oceans, lakes, and rivers. I would have to say the majority of our swims are done in lakes. Q: Are there separate events for people of different skill levels? A: Yes. There are different distances, different wave starts, and different age classifications. So if you’re 27-years-old you’d be racing other competitors in the 25-29 age group. Depending on the event, there are usually several “wave” starts for the swim. For example: all pros start first. Then, three minutes later all men, and three minutes after them, all women. This also varies per event. Q: What conditions would the weather have to be like for the swim to get canceled? A: Safety is always first, and there are number of scenario’s where a swim can get cancelled – unhealthy water, freezing water, high water – but it doesn’t happen very often. In 20 years of XTERRA, there has only been a few notable cancellations, like when the James River in Richmond, Virginia was flowing so fast it turned into a Class IV rapid. Q: What should I do in order to prepare my body? Mimi: This is a question I get asked a lot from people who are just starting out in the world of triathlon. I tell them that the body is a finely tuned machine, and if you don’t take great care of it, it won’t perform optimally. If you’ve decided to take the plunge and do your first XTERRA, you’re going to have to devote time and energy into training and buy some equipment. Treat your body well. Eat whole foods most of the time, take time to stretch out those tired and sore muscles, get enough sleep (this is when your body is repairing itself and getting ready for the next training session) and truly rest on the off days. Listen to your body. If you just aren’t feeling it one day, take it off. Missing one workout isn’t going to make or break you. I train a lot by feel and think nothing of taking off a day if I just don’t feel good. Especially as you get older, diet and rest become increasingly more important. Q: Is it better to train in groups or as an individual? Mimi: I think this is a very personal decision. If you are a person that enjoys group training in general, then by all means, train in groups. Many people agree that group training can make you faster by pushing you to go harder. I know for me this is definitely true in the pool. And for beginner mountain bikers, I would definitely suggest going out with an experienced mountain biker–one who can teach you skills and help boost your confidence. Group training is by no means necessary however. I tend to do all of my bike and run training solo. I enjoy training alone and most of my workouts are tailored to me specifically. Furthermore, I can do them when I have time during the day. I do swim with others in the pool, primarily because this is my weak leg, and I need to be pushed and like to be pushed. I believe I have gotten faster because of it. Q: Preparing for something so rigorous needs a starting point in which to build from, so where do you suggest I start? Amy: To be successful at anything you need a PLAN. In your triathlon preparation, finding educated professionals to taking on 3 sports can be overwhelming, and if done incorrectly can cause one to injure him or herself, so a great place to start is to partner up with a coach and possibly a training group for social and technical support. The BEST place to find a triathlon coach is to go to the usatriathlon.org website and look for a certified coach in your area. There, you will also find a list of USA Triathlon approved and insured clubs. Make sure that both your coach and your club are certified, as that will ensure your maximum safety (club will provide insurance) and sport knowledge. In other words, you will be safe and have fun in scheduled workouts so you can be healthy and perform well in your race when the time arrives. Note: There are a lot of great XTERRA-specific coaches out there that can do training from afar and/or in-person. Josiah Middaugh of Middaugh Coaching; Lesley Paterson of Braveheart Coaching; Cody Waite from Sessions6; and Amy Eck from Camp Bennett are just a few. Q: Is there a Triathlon community that is more social rather than competitive? A: That’s XTERRA! 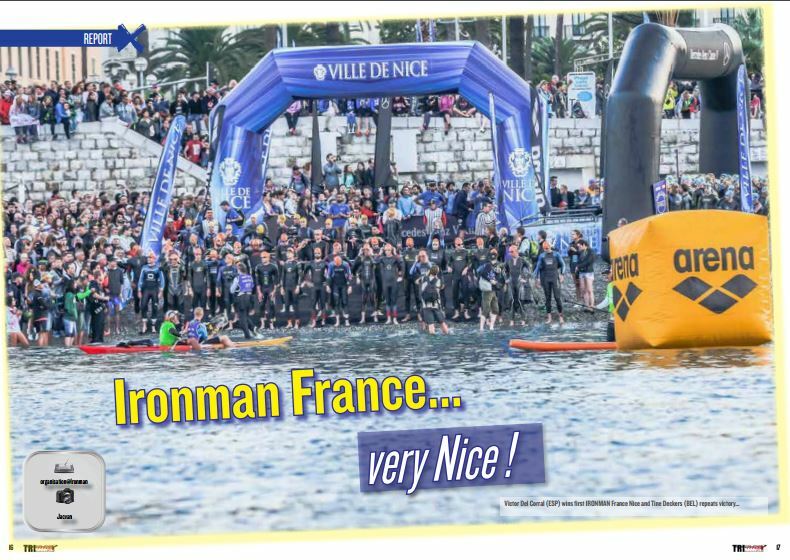 This community is very welcoming, and while the racing is competitive the people are widely referred to as the nicest in all of triathlon. Q: What is the hardest leg of the Triathlon? Mimi: This is different for each person. Some start doing triathlons after a swimming or running career. Others have spent significant time bike racing. Then, there are some that have experience in all three sports, or some have no experience at all. For me, the hardest leg has always been swimming. I can practice all the time and feel great in the water, but it is still my weak spot. Thank goodness it is the shortest leg of the triathlon! Because it is the shortest leg, I realize that even if I’m not the strongest swimmer I’ll be able to make up the time on the bike and/or the run. But still, I swim a lot and continuously trying to improve my stroke and overall speed. I think many would agree, however; that the mountain bike portion of any race is usually the hardest just by virtue of it being the longest. Then again, if you hate to run, you might beg to differ and argue that running 4-6 miles on trails after biking is the hardest part. Q: How prepared do I need to be for terrain obstacles? Mimi: Since each course is different, you need to be prepared to face anything and everything. I think feeling comfortable tackling obstacles are essential to making yourself feel confident on race day. I try and do all my running on trails. And of course, it’s great to do long endurance rides on a road bike or trainer, but nothing beats riding a mountain bike on trails to get you ready for race day. I really don’t think you can compare road biking with mountain biking. The latter requires so much more athleticism, power, momentum and coordination. The only way to feel comfortable and confident on a mountain bike is to practice, practice, practice. Q: How much money would I need to get started? Mimi: There’s no doubt about it, triathlon is an expensive sport and hobby. How much money you spend really varies. Certain things are required of course, but how much you spend on those required items is entirely up to you. The mountain bike, bike shoes and helmet are going to be the costliest items. Oh, and perhaps a wetsuit. If you are just starting out, I might recommend testing out various bikes to see if you want to go with a full suspension or hardtail. One option is to buy a used bike or borrow one from a friend. There are plenty of great used bikes on the market. Q: Is there a season for this? A: Year-round! There may be two-feet of snow on the U.S. East Coast right now (Feb. 1), but it’s summertime in South Africa so their season is in full swing. The sport is more conducive to warmer weather. Q: Is there an off season? Or should I plan to train all year long whether there is an upcoming race or not. Mimi: There is an off season and most people would consider it to be November and December. It’s a good idea to take a physical and mental break during these months to recharge and focus on something other than swimming, biking and running. I think you’ll find that when you start training again in January, your body and mind will thank you for the much needed time off. Q: What are average times I should shoot for? A: To start, just getting to the start line on time and happy is a good goal. The accomplishment of finishing is the first step to master, and is a super rewarding feeling when you’re just getting started. Look for part 2 of the newbie FAQ on February 18, and a launch of a three-month training program to get you ready for your first XTERRA to debut on March 3. If you have a newbie question you’d like answered, email it to lauren@xterraplanet.com. 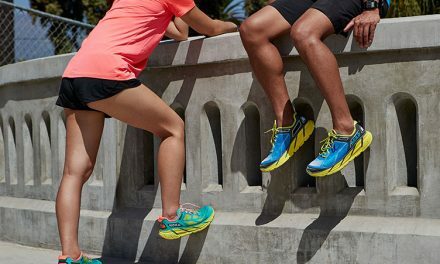 HOKA ONE ONE : The Clifton 1 is back!